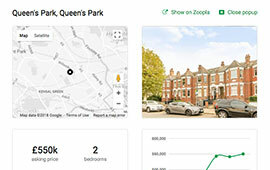 PropertyData contains the UK's most comprehensive and wide-ranging array of residential property market data and analytics functionality, designed to help residential property investors, agents and developers. 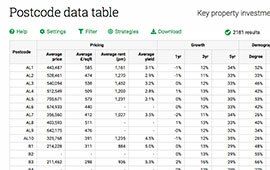 A comprehensive table updated in real time showing key property investment statistics for all UK postcode districts. A colourful national map illustrating important property investment statistics for all UK postcode districts. 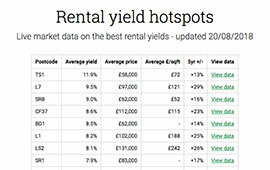 Using live market data to track where the postcode districts in the UK with the best rental yields. 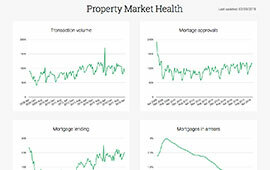 A range of charts covering house prices, market health and important economic data. 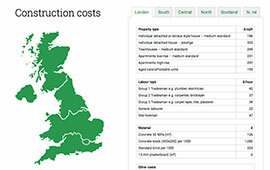 Discover building construction costs by square foot or square metre in different UK regions with our cost data. 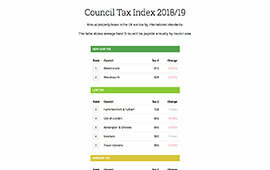 A Council Tax Index setting out the average Band D Council Tax rate in council areas around the UK. 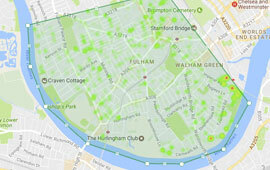 Our data covers all urban areas in the UK - anywhere that there is sufficient volume of properties. New search. 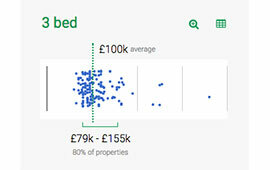 Analyse asking prices, sold prices and rental values in your defined local areas with easy-to-read scatter graphs. 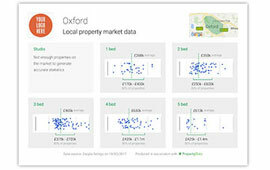 The UK's most accurate and comprehensive database of asking and sold prices per square foot. 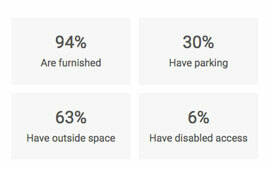 Access reports on currently marketed properties to help find comparable properties. 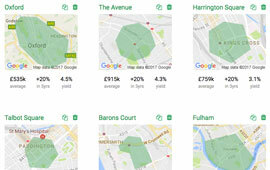 Discover typical long-let and HMO yields in your defined local area of interest. View five-year house price growth data. 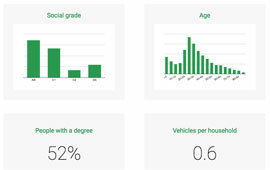 Gain insight into social grade, age, education level and vehicle ownership in your property areas of interest. 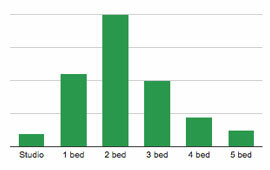 See analysis of live market data from the room-let market, to help you design and manage your HMO property. Understand the types of properties available for sale or rent in your defined local area. 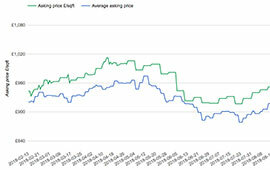 Automatically monitor changes in prices and price per square foot in your defined area on a daily basis. 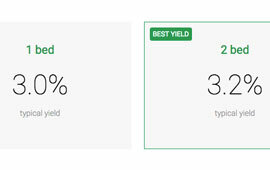 Save property areas to your account, comparing key stats side-by-side and jumping back to full analytics any time. 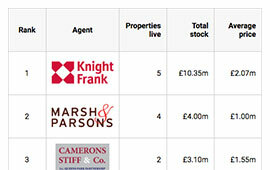 Live market data illustrating the agents that dominate any given area, based on size and value of stock available. 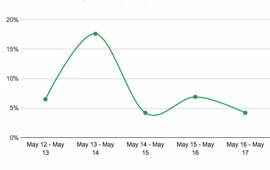 Download local property market data-sheets, branded with your own logo. 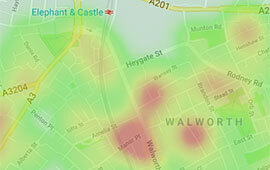 Analyse and visualise local crime types, patterns and hotspots. 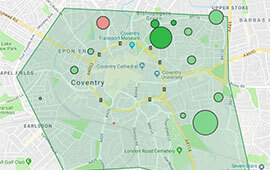 Visual analysis of state schools in any area based on Ofsted rating scores and school size data. 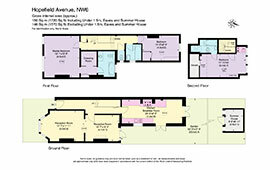 See buildings and plot boundaries anywhere in the UK on a beautiful ultra high-resolution plot map. 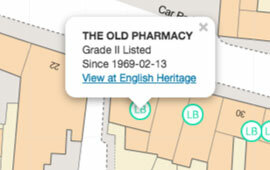 Find and identify listed buildings, including listing grade and date, on a high-resolution map. 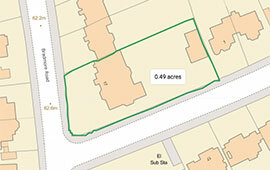 Visually locate nearby properties currently listed on multiple portals for sale, long let or HMO room let. 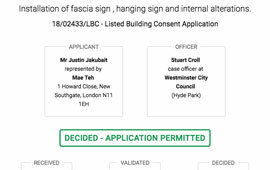 Quickly determine whether any local properties have planning applications pending or recently determined. 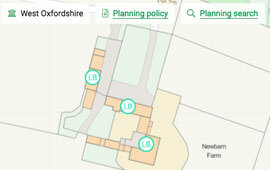 Determine the local authority and access planning policy documents and the planning search tool in one click. 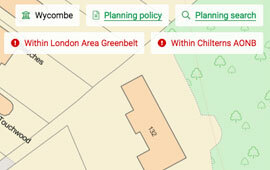 Greenbelt, National Park and Area of Outstanding Natural Beauty warnings to help identify development limitations. 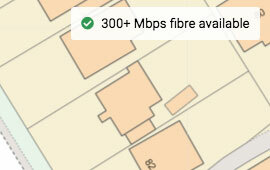 Indicates whether fibre internet (superfast or ultrafast) is available at the selected postcode. 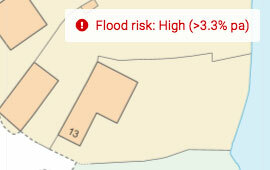 Indicates whether properties at the entered postcode are at risk of flooding from rivers or sea.